Ciocolata, czokulada, czokolta, czykulata – today it’s simply called czekolada and available everywhere. 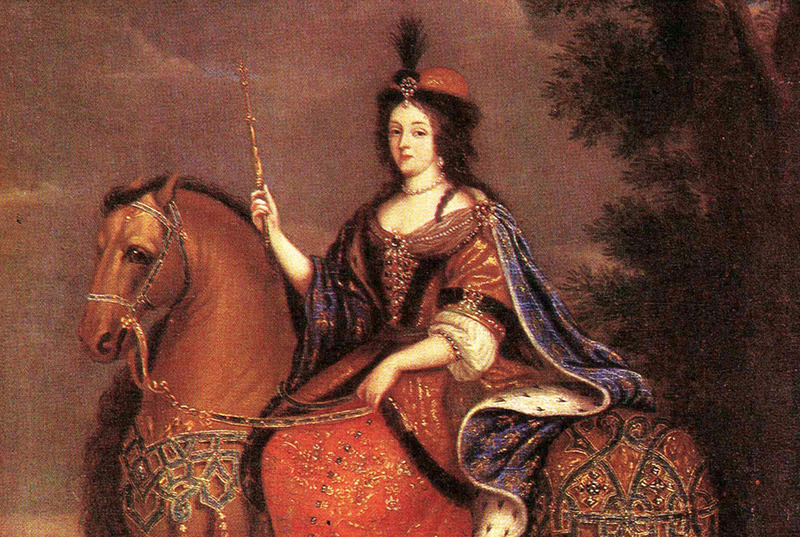 But what were the beginnings of chocolate in Poland? Some believed that chocolate, being dark and sticky, might be rather devilish and wondered if it ought to be consumed during Lent. Especially since it seemed to cause excitement, hyperactivity, talkativeness, anger and explosions of negative emotions, even lustfulness. For that reason, the Pope decided that drinking chocolate would break the fast, even if it was prepared with water. However, the cultural revolution couldn’t be prevented, and as time passed this aromatic drink became fashionable among European elites. And it was for the very same reasons for which it had earlier been considered suspicious – it was stimulating and put one in a cheery mood. Could you send me some ciokolata, my dear, if you have any. I would also need a little pot; you could take one from M. des Noyers and order a replacement for him. And a stick for stirring and whisking. The stick and pot were most likely the utensils used for making chocolate in the 17th century, namely molinillo, a special wooden whisk, and chocolatière, a pot with a hole in its lid where the molinillo was placed. Reportedly, King August II Sas was a great chocolate lover, as was the last King of Poland, Stanisław August Poniatowski. Like coffee or tea, the consumption of chocolate was celebrated – this special drink required special utensils. In the 18th century, special china was used for making chocolate – the so-called farfury and porcynele (faience and porcelain pots and cups); small pots for czykulata, even cups, spoons, milk pitchers, strainers, trays and sugar bowls also appeared. Sugar was stored in special boxes to prevent it from going bad. This however didn’t stop people from taking sugar on journeys – the temptation to relish the taste of divine chocolate was too strong! 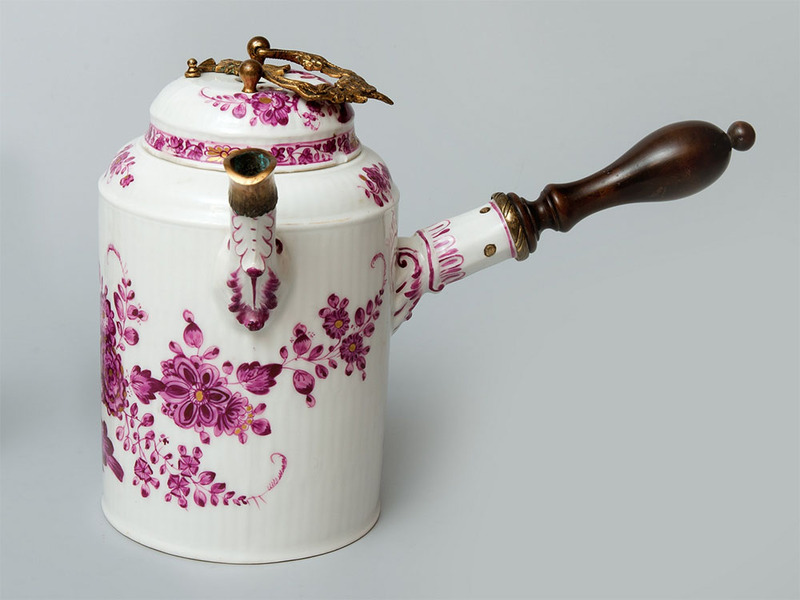 In the 18th-century registers, one journey listed the following items: two teapots, one chocolatière, one coffee pot and a sugar bowl with czybczyki and czubka (probably sugar tongs and a lid). Before the mechanisation of the production process, preparing all this chocolate ambrosia was time consuming. To understand why, let’s look at the recipe for czokulada prosta or easy-made chocolate, given in the second half of the 18th century by Jan Krzysztof Kluk, a priest and natural scientist. First, one had to roast cocoa beans had to in a pan, stirring and taking care not to over-roast them, keeping in mind that they mustn’t lose moisture and oiliness. Then they had to be peeled and crushed. That was only the beginning of a very complicated procedure. Those wanting to enjoy the taste of chocolate would have to add crushed sugar to the beans and grind the mixture in a mortar or – even better – use a special stone placed on hot coals. The mixture of cocoa beans and sugar had to be creamed until it turned into a butter-like, soft mass. It was important that the heat under the mortar or the stone was kept low, because ‘if it’s too hot, all the moisture and oiliness, vital in chocolate, might evaporate’. Then the mass was put into special moulds in the shape of tin flat boxes, and ‘when it’s cooled down and taken out the mould, it is ready for use’. Chocolate was enriched with various tasty additions. Chocolate with sweet roasted almonds was considered beneficial for one’s health. If spices, cinnamon or vanilla beans were added, chocolate became aromatic. Chocolate was also cooked in wine or milk. Cocoa paste was used for drinking chocolate. According to an 18th century recipe for ‘chocolate cream’, you had to soak six bars of chocolate in water overnight. The next day you cooked them with milk, adding some wheat flour and some brown home-made caramel for flavour and colour. In the 18th century, chocolate was a luxury product and difficult to get hold of. It was expensive and not everybody could afford it, but people wanted to enjoy at least something like it. Instead of cocoa beans, take two spoonfuls of good quality wheat flour, put it in a pot or chocolatière and place on hot coals, then stir it without adding any liquid until it gets well browned. Add a cup of water or milk, stirring continuously, then add cinnamon and sugar and keep cooking like it were chocolate. When it’s cooked, add egg yolk to whiten. It wasn’t just flour that was used for making mock chocolate. Linden fruit was also used, as mentioned by Dziekoński in his 1796 book Przepisy Rolnictwa i Ogrodnictwa Najnowszemi Przykładami, Wzorami i Planami Ekonomiki Objaśnione i Potwierdzone (Proven Agricultural and Horticultural Recipes, with the Latest Examples, Formulas and Economic Explanations). He wrote that ‘chocolate’ made from linden fruit was not just strengthening but it would also caress one’s lips. 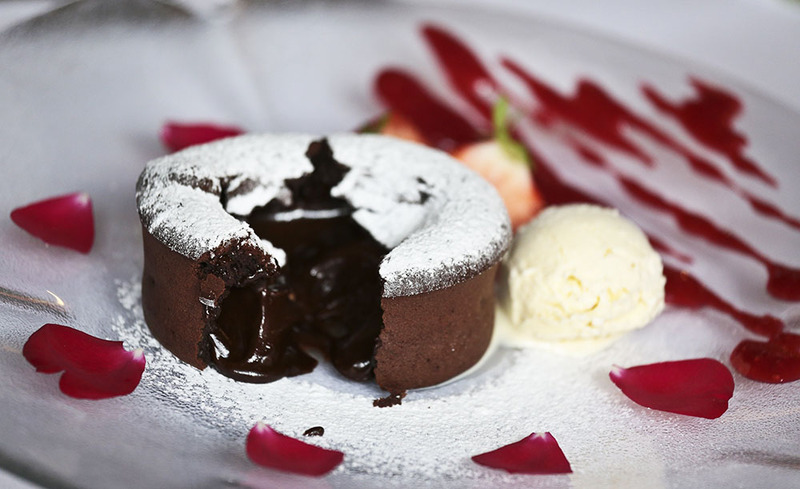 At the beginning of the 18th century, chocolate took the art of confectionery by storm. Every cookbook suddenly contained many sweet recipes using chocolate. Chocolate creams, soufflés, blancmanges and chocolate milks were popular. Chocolate was added to Old Polish Easter yeast cakes and mazurka cakes. Jan Szyttler, the legendary cook of King Stas and author of many systematically-arranged cookery books, gives several recipes using chocolate. In his recipe for chocolate milk, you had to grate a quarter pound of chocolate, put it in a small pan, add a quarter of a pound of finely-powdered sugar and a half quarter of hot crème fraiche. Then you add whisked eggs and egg yolks, strain out the mixture into a baking dish and put it in an oven on a medium heat. Grate a pound of chocolate and put it in a pan over low heat and keep stirring until it gets a little darker; take it off the heat and thin with almond milk. Strain it through a piece of cloth, add sugar and two quarters of isinglass [today gelatine], mix well and pour into a mould. When it cools, it is ready to be served. 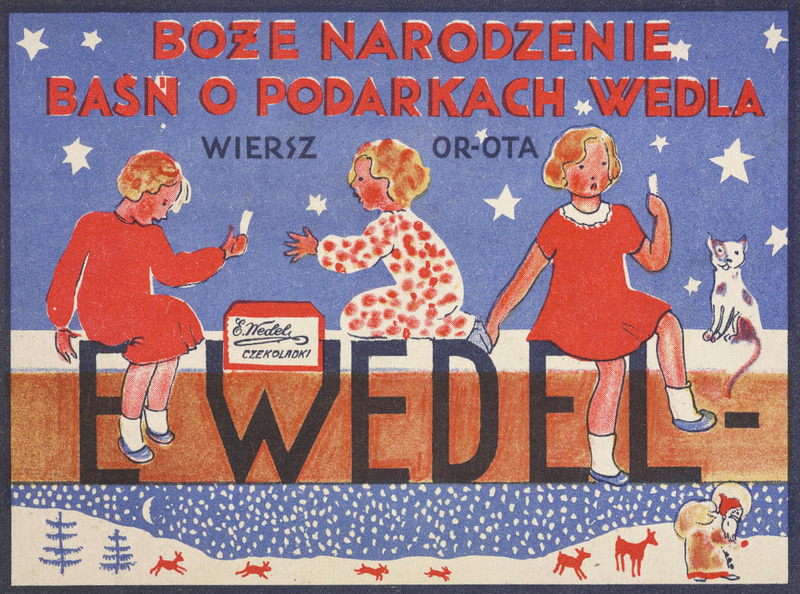 A major breakthrough in the history of Polish chocolate came in the mid 1800s, when a young Karol Wedel opened a shop and adjacent ‘steam chocolate factory’ under the business name C. E. Wedel. At first, the factory produced caramel, but soon also manufactured chocolate confectionery, which turned out to be a bestseller. Wedel’s shop also sold so-called pharmaceutical chocolate as a cure for diseases of various kinds, as well as chocolate with spices, and vanilla chocolate, the people’s favourite. In 1855, Wedel brought a special machine from Paris that could produce drinking chocolate – the laborious rolling of cocoa beans went the way of oblivion. Their success was actually increased by the cheaper mock chocolate products that became available on the market – that was when the logo with Emil Wedel’s initials was created to distinguish Wedel’s products from those offered by the inferior competition. In the inter-war period, the chocolate industry in Poland expanded. 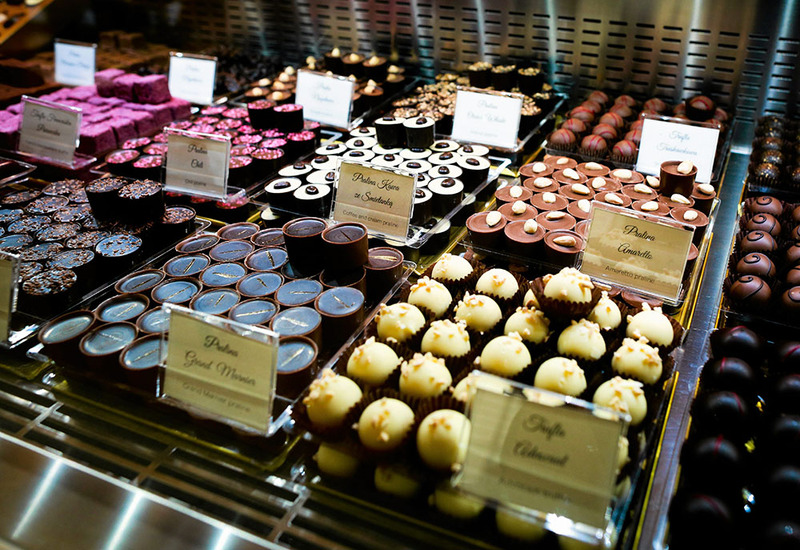 Not only was a new modern chocolate factory built in Warsaw’s Kamionek district, but Wedel’s chocolate bars and pralines started gaining a reputation outside of Poland’s new borders. As well as the countless Wedel stores in Warsaw and other Polish towns, there could be found abroad, including Paris. Chocolate and other products from Wedel’s empire were transported by special Wedel-owned aircraft, and they were being purchased in London, even in Japan. The Piasecki, Suchard & Pischinger Factory in Kraków (hence, renamed Wawel after WWII for brevity) was the main rival of the Warsaw-based Wedel. At Wawel, it wasn’t just quality that mattered but also marketing: images of the most famous Polish buildings and Polish heroes appeared on their packaging, and they organised Miss Chocolate contests. Before WWII, the Polish Sugar and Chocolate Manufacturers Association enacted a statute which helped matters – it was aimed at supporting the development of the Polish confectionery industry, including the chocolate sector, as well as winning new markets in Poland and abroad and protecting the economic interests of associates. 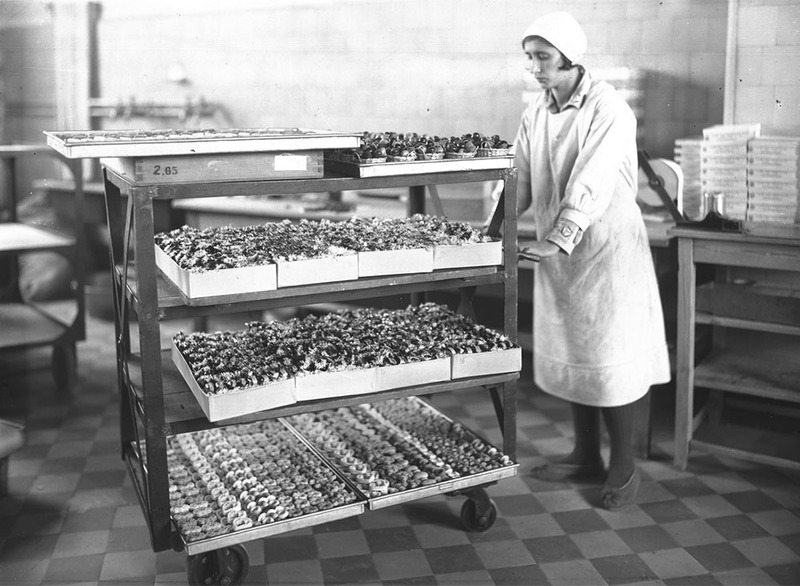 But these optimistic plans came to nothing, as the Second World War halted the growth of the Polish chocolate market. After the war, factories were nationalised and the chocolate market collapsed. The era of fake chocolate began.